Western Australian Blue Whales are feeding in the Perth Canyon just 27 nautical miles from Perth and the season runs until late May. 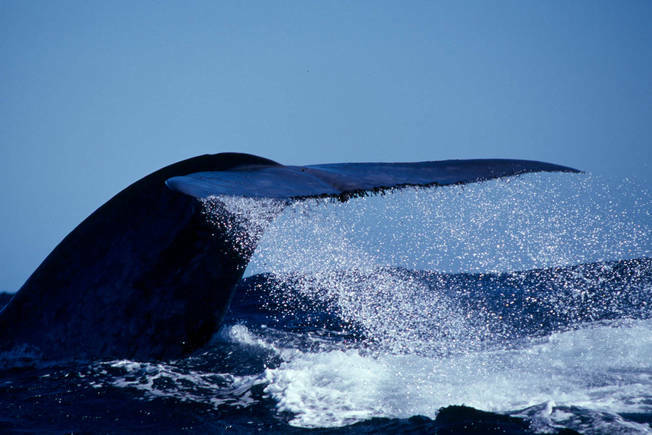 The largest mammal ever to grace the planet, the Blue Whale can measure 31 meters in length and weigh 130 tons. Classified endangered there is an estimated only 12-20,000 remaining around the globe. The Perth Canyon is the summer feeding grounds of these Dinosaurs of the Deep. The Blue Whale is the rarest Whale to ever be seen or photographed. Never before released to the public this new frontier eco hot spot off the Perth, Western Australian coastline, is the feeding grounds for the largest aggregation of Blue Whales in the southern hemisphere. The biodiversity includes Sperm Whales, Orca's (Killer Whales), Beaked & Pilot Whales, Dolphins, Australian Sea lions, Sharks, Migratory Antarctic Sea Birds, Sunfish, Tuna and much more feed on this biomass bonanza which stands unrivalled on the Western Australian coastline as the marine production epicentre. This is your opportunity to be a part of a new frontier of research and development with Whale Watch Western Australia.